Click here for statutes pertaining to victims services. 17. To a speedy disposition of the charges free from unwarranted delay caused by or at the behest of the defendant or minor. 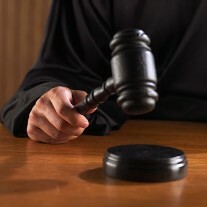 In determining a date for any criminal trial or other important criminal or juvenile justice hearing, the court shall consider the interests of the victim of a crime to a speedy resolution of the charges under the same standards that govern the right to a speedy trial for a defendant or a minor. In ruling on any motion presented on behalf of a defendant or minor to continue a previously established trial or other important criminal or juvenile justice hearing, the court shall inquire into the circumstances requiring the delay and consider the interests of the victim of a crime to a speedy resolution of the case. If a continuance is granted, the court shall enter into the record the specific reason for the continuance and the procedures that have been taken to avoid further delays. 2. Case number and county where charges were filed. 3. Your current mailing address and phone number OR the mailing address and phone number of someone who can contact you. IT IS YOUR RESPONSIBILITY TO NOTIFY THE DA'S OFFICE HANDLING THE CRIMINAL CASE OF ANY CHANGE IN YOUR ADDRESS. Q: How Do I File a Crime Victims Compensation Claim? A: Visit www.okvictimscomp.com or Call 1-800-745-6098 or your local District Attorney's Office. Q: How Do I Search for a Decision or Payment on a Claim?